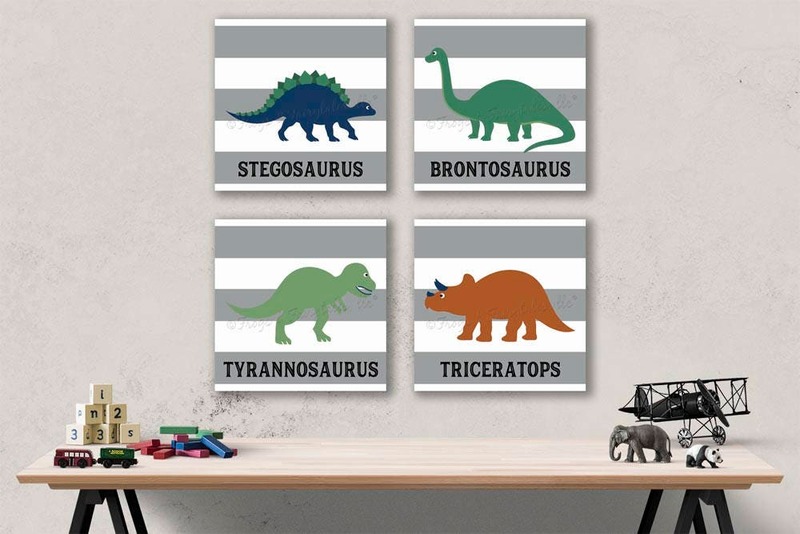 This wall art set is perfect for any dinosaur lover! 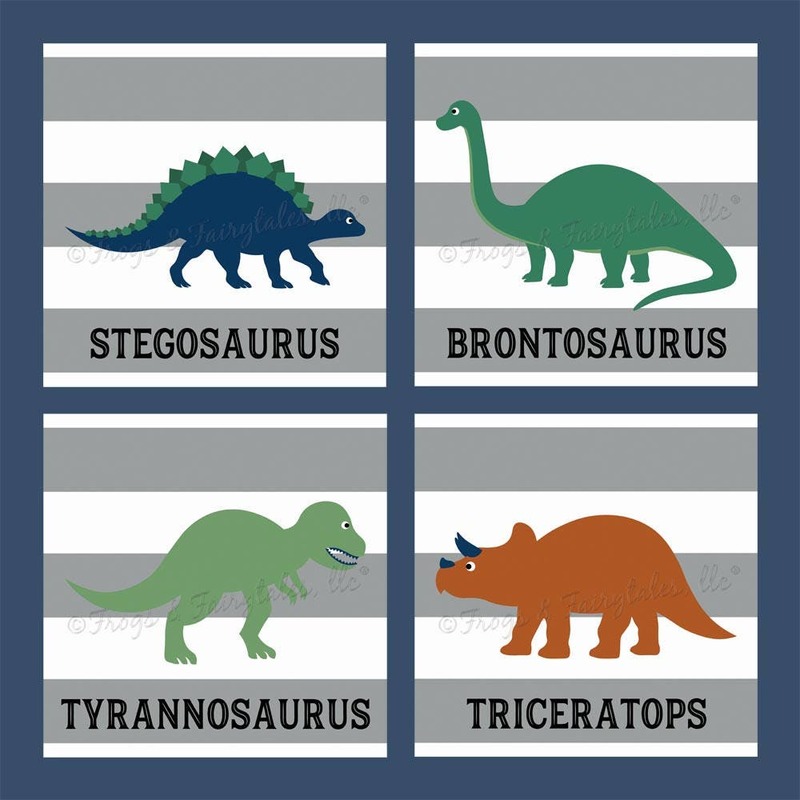 This dinosaur canvas wall art set comes with 4 prints, a Tyrannosaurus Rex, Triceratops, Stegosaurus, and Brontosaurus in navy, green, and burnt orange with a white and grey horizontal striped background. We can change the color scheme of the dinosaurs and/ or the background if you'd like. Please select custom colors from the drop down menu if you with to change the design in any way. Please be sure to leave your changes in the note to seller section of your invoice. If you choose to change the prints in any way, we will message you with proofs to approve before printing. Please note that the listing price if for a set of four prints. Each print will be printed in the size you select from the drop down menu (if you select 12x12, you will receive 4ct. 12x12's). Watermarks will not appear on your actual prints.